Evening everyone hope you are all well. 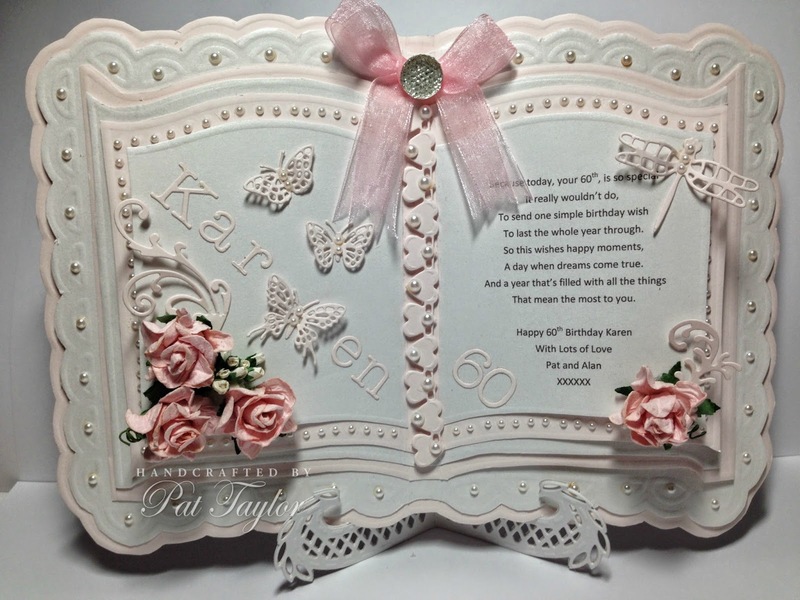 This evening I have a card which I made for a special friend's 60th birthday. Hope you like it. WOW Pat this is stunning! Another stunner Pat. I used to use the boards but not very neat at cutting out so i prefer now to use dies but this card is so neat and looks so expensive. Absolutely awesome - a gift to be treasured! !